Join the Institute for Global Health Sciences at our grand rounds with Dr. Susan Meffert, MD, MPH, Associate Professor in the UCSF Department of Psychiatry and UCSF Global Health Sciences Faculty Affiliate in conversation with Dr. Jaime Sepulveda, IGHS Executive Director, and IGHS master's student Ridhi Arun. 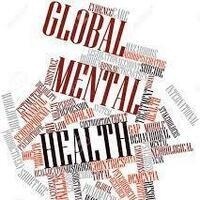 Dr. Meffert has been working in the field of global mental health since 1998 (humanitarian aid in Sudan). She began clinical research in 2004 during psychiatric residency at UCSF, returning to East Africa to work with Darfur refugees. Her current work focuses on HIV+ women exposed to gender based violence (GBV) in sub-Saharan Africa, where 75% of the world's HIV+ women live. Dr. Meffert collaborates with the UCSF Family AIDS Care and Education Services (FACES) program based in Kisumu, Kenya, where she is now completing an effectiveness-implementation hybrid study (n=300) to evaluate clinical and implementation parameters of non-specialist delivery of integrated, evidence-based mental health treatment for HIV+GBV+ women served by FACES.